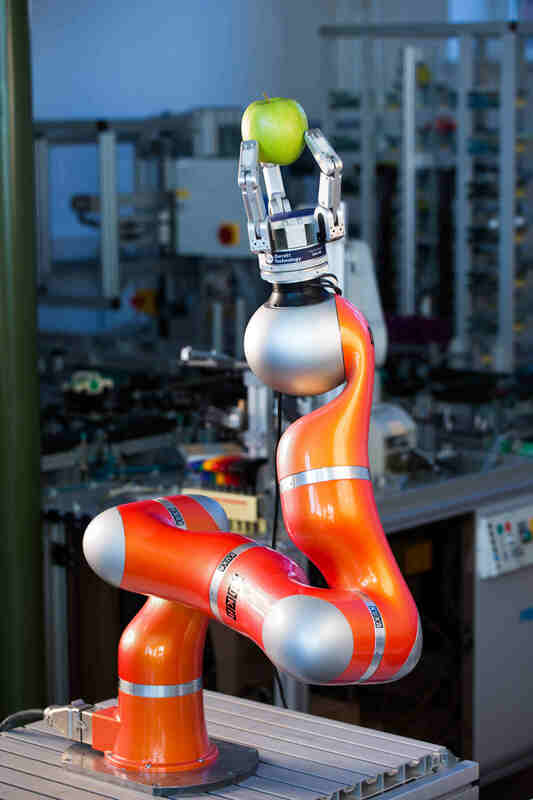 Many robotic tasks require the interaction of a manipulator with the environment. Examples are the grasping of different objects or the deburring of workpieces in a manufactoring chain. This interaction can be described in terms of contact forces acting on the manipulated objects and the robot. The goal of this project is the derivation of an online learning (adaptive) model predictive controller that is used for force control in grasping tasks. Hereby the focus is on fusing the concept of MPC with an online learning Gaussian process. The Gaussian process is used to model the relationship between contact forces and position of the gripper. The contact force hereby depends also on the object properties which are unknown a priori. Therefore, the GP is used to adapt to the unknown environments to increase the controller performance.